This double volume – 6 CD’s worth – of old bootleg material is good overall, but this first one is a classic. Over the two volumes, I own half of these bootlegs (the four from 1982 and earlier) and I listened to them a lot. The internet, Google and MP3s mean that we now take the 24/7 availability of music totally for granted, but when these LPs came out, we were buying bootlegs on TDK D90s from Camden market and LPs from limited runs. These vinyl bootlegs became notable in their own right and widely accepted as almost semi-official live LPs. “Live at the Venue” is a good relic. The quality isn’t too bad, especially for an audience recording, but this is special because it is a good recording, of a good performance, from an early gig (they are playing Malicious Boogie, Nuclear Boy [“Just a blow up dolly, for a blow up world!” Hmmmmmmmmmm. ], Turn to Red (which, OK, does get an outing out very occasionally – but this is a great version!) and What’s the Matter?). Great vibe. 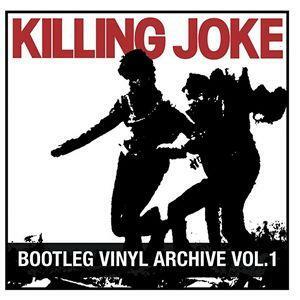 “Live in London”, recorded at the Lyceum on 26th July 1981 and entitled “the original Killing Joke live”, is much better quality than the Venue recording. I listened to this hundreds of times – it is a great set and a really good sound. Jaz is on form (silky, moody, shouty, menacing, mental, laughy). The Odeon gig sound and vibe is pretty good as well, and Porchester Hall is okay (but I expect there are many better). This collection is notable really only for the Bum’s Rush. I listened to the other stuff, but it isn’t really notable (although “The Act is Done” has its moments – minor improv/jamming and Jaz ranting over Bloodsport). 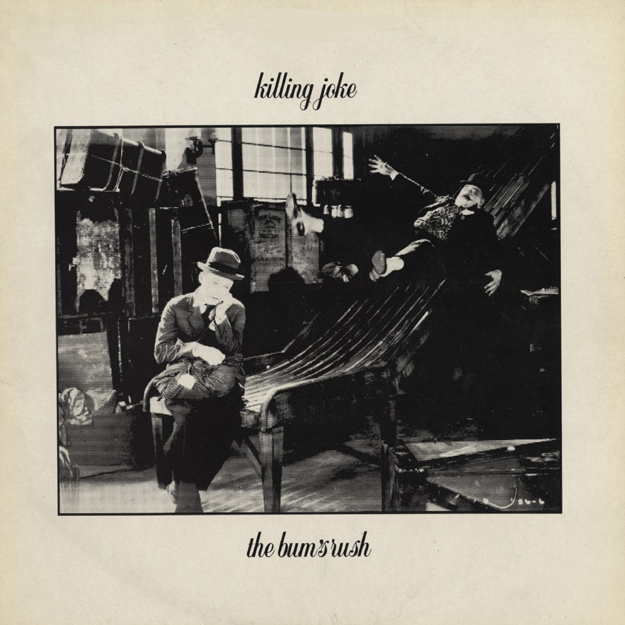 The Bum’s Rush was about as official as a bootleg could get – the song choice is excellent and the sound quality is “official release” quality. It contains the John Peel session from 1980 on side one, plus an early version of Follow the Leaders, with different lyrics, and side two contains the Capital Radio session, also from 1980 and opens with an early mix of Pssyche (not that different from the Wardance B-side except for a bit of an extended intro). The Capital session is amazing. For me, it contains just about the best versions of each of these tracks, but the version of Are You Receiving? is as good as it gets. The whole session sound is a bit murky – very punk, with a “wall of sound” approach. Filthy. And the energy, drive, grit and sheer relentlessness of Are You Receiving? is mind-blowing. 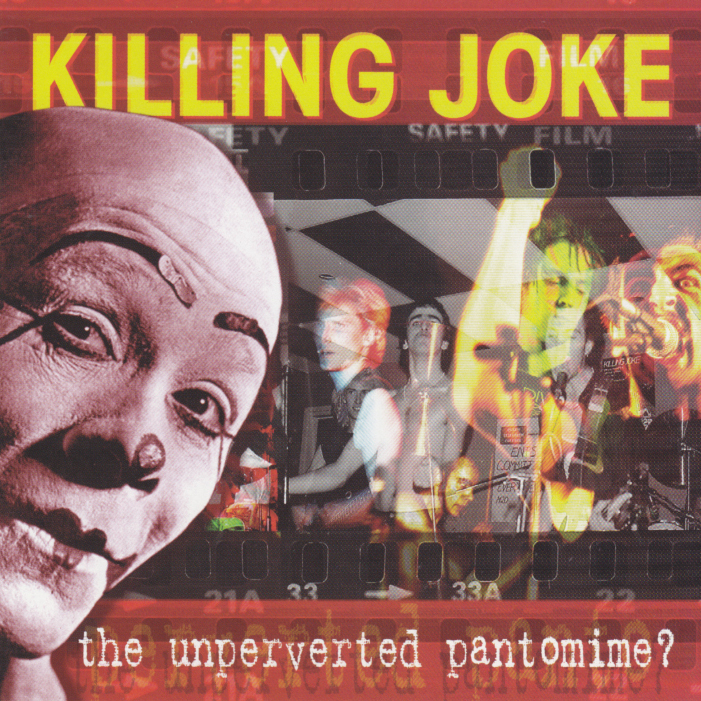 A better version of this essential radio session is available of “the Unperverted Pantomime” CD – see below. 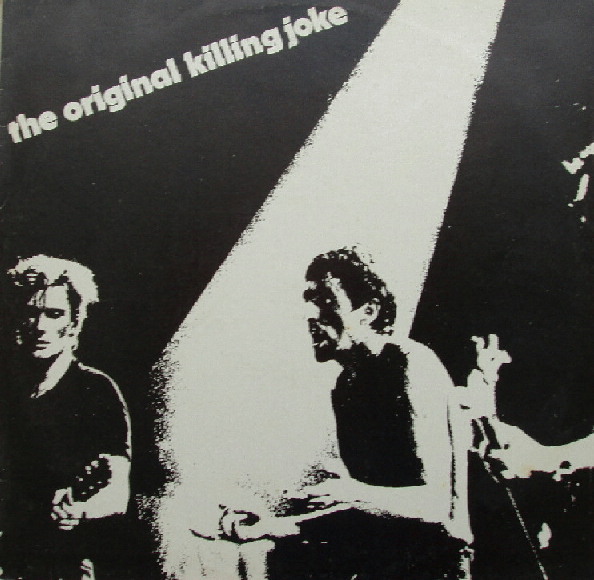 This live LP was recorded over two nights at Shepherds Bush Empire on Killing Joke’s 25th anniversary. I was at the second night and it was a bit of a let down if I am honest. The boys weren’t particularly on it and the sound was absolutely shocking. I was chatting to one guy who’d been the night before and said the sound was even worse! It’s been mixed and cleaned up for the official release, natch, but it’s a bit meh! Average compilation of mainly LP tracks. The only things of note are Fall of Because live (originally from the B-side of the Fire Dances 12”), the alternate mix of We Have Joy (later released on the Revelations re-issue) and Rubicon (the Chris Kimsey mix – all of his mixes were released on the Brighter than a Thousand Suns re-issue, in place of Julian Mendelsohn’s, which appeared on the original release). This is an absolute treasure – a joy to behold – it’s a unique 25th anniversary malicious damage 5-CD collection featuring killing joke’s first four ground-breaking singles plus demos and outtakes from the first two albums, all in replica sleeves featuring the original artwork, inserts and stickers and a unique wallet of 30 rare malicious photos and memories. Now we’re talking! The band’s first four singles, with extra tracks, on four separate CD singles, plus an extra LP of demos, which are sublime! Nirvana! The packaging is amazing, with copies of the inserts from the first two singles – even the CDs are styled like vinyl singles. There is also a collection of really good photos. All of this was, of course, from Mike Coles – the genius behind all of Killing Joke’s greatest artwork (and my fantastic “MALICIOUS” shirt). This is another gem. 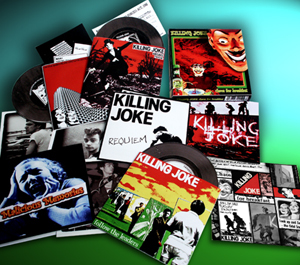 Purchase it NOW if you do not already own it… even if you do not think that you like Killing Joke. The Wardance 7” is here – both sides – as is Nervous System (their first appearances on CD). 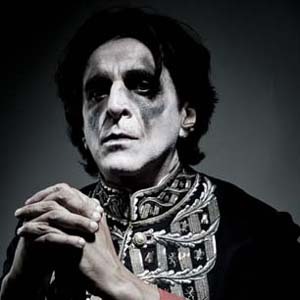 There is a version of Follow the Leaders which has different lyrics (originally released on “the Bum’s Rush” bootleg LP, above), and there is a MONSTROUS version of The Wait – the Basing Street demo. The entire Capital Radio session which includes the mind-blowing version of Are You Receiving? (and also on “the Bum’s Rush” bootleg) is here, as are eight tracks from the “Unperverted Pantomime” fan-club cassette, sounding much better than the crap put out on “the Original Unperverted Pantomime” CD. THIS IS HOW TO COMPILE A COMPILATION CD!!!! Just not very good. At all.